In the Gast group, we study the cognitive processes that underlie evaluative, social, and affective phenomena. 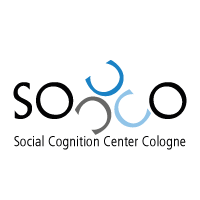 We apply empirical, theoretical and methodological knowledge from social cognition and cognitive psychology, especially from memory and learning psychology. The main focus lies on evaluative conditioning and other forms of evaluative learning. In the project "Evaluation and Memory" funded by the Emmy Noether Program, we study evaluative processes from a memory-and-retrieval perspective. Other research topics include the underlying processes of implicit measures, social influence, and the relations of gender and academic achievement. What people like and what they dislike is one of the strongest predictors of human behavior. Most of these evaluations and peferences are learned over the course of our lives. The DFG-funded Emmy-Noether-Group „Evaluation and Memory“ headed by cognitive and social psychologist Anne Gast investigates the learning and memory processes that lead to the acquisition of likes and dislikes. Previous research on evaluative conditioning has shown that simply observing the co-occurrence of a neutral stimulus (for example an unknown person) and a positive stimulus (for example a liked or disliked person) leads to a change in the valence of the neutral stimulus. Several questions can be raised about this phenomenon: Do these effects occur irrespective of whether the person consciously remembers the co-occurrences? Are they moderated by how the two stimuli are related? How long lasting are they? In the Emmy Noether-Group these and other questions about evaluative learning are approached from a memory framework. This memory framework allows a dynamic understanding of the processes and representations that result in liking or disliking something or someone. It explains phenomena that seem contradictory from the debate on associative and propositional models of learning and allows to generate new testable predictions. Furthermore, by specifying when to expect and how to investigate effects in real-life situations, it strongly increases the applicability of evaluative conditioning research.